She appears to be the irrepressibly happy girl. 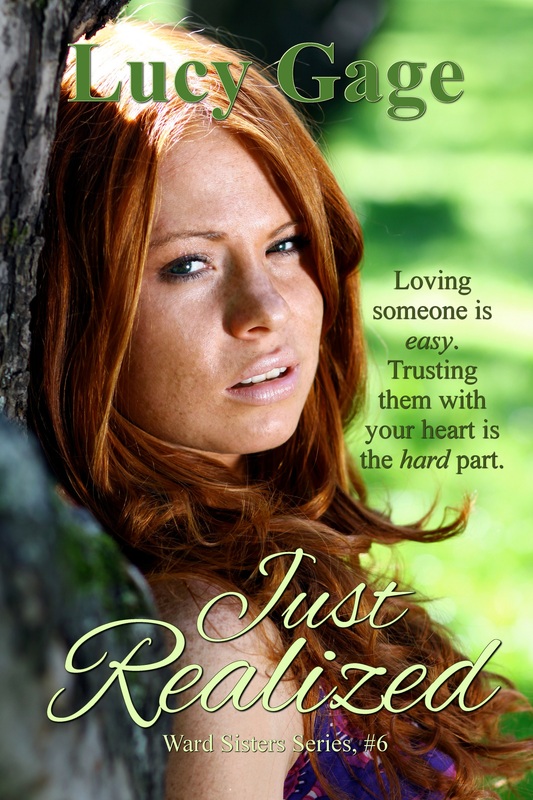 Nina Jacobs has had some rough patches in life, and men have always disappointed her. The day Owen Nichols drops into her world, the last thing she expects to happen is happily ever after. He gravitates toward the role of knight in shining armor for damsels in distress. Sergeant Owen Nichols has a bad habit of being the rebound guy. When he meets Nina Jacobs, he recognizes the moment where preparation meets opportunity. Some life lessons have to be earned the hard way. Owen is determined to prove worthy of Nina's trust, and they form an unshakable bond of friendship that she can't believe—and he dares not presume—is more. Can Owen find the courage to leap before she rediscovers her heart with someone else? Or will Nina realize that she already has everything she needs with the man who has become her best friend? She loves to hear from fans, and appreciates that they asked about her writing while she took this last year to focus on other parts of her life. Look for her website in 2016. Ward Sisters Series Book #7, Think of Me, will arrive in 2016. Book 1 in the Vega Brothers Series—a Ward Sisters spinoff—launches later in the year. Owen Nichols comes home for a one week vacation, from fighting in the war. He’s excited to spend time with his best friend Neil and girlfriend Meghan. When Owen is introduced to Meghan's cousin Nina Jacobs he is instantly attracted to her. When Nina meets Owen it is and instant attraction but has her guard up, afraid to let things go farther than friends for two reason. One she has been hurt in the past and two, he is only in town for a week.But soon the friendship blossoms into something more, that Nina can’t fight. Will they both be able to find their happily ever after with each other? This is the first book I have read in this series and felt the author did a fantastic job of building an emotional world that was engaging and realistic. Thank you for reviewing! It's much appreciated!